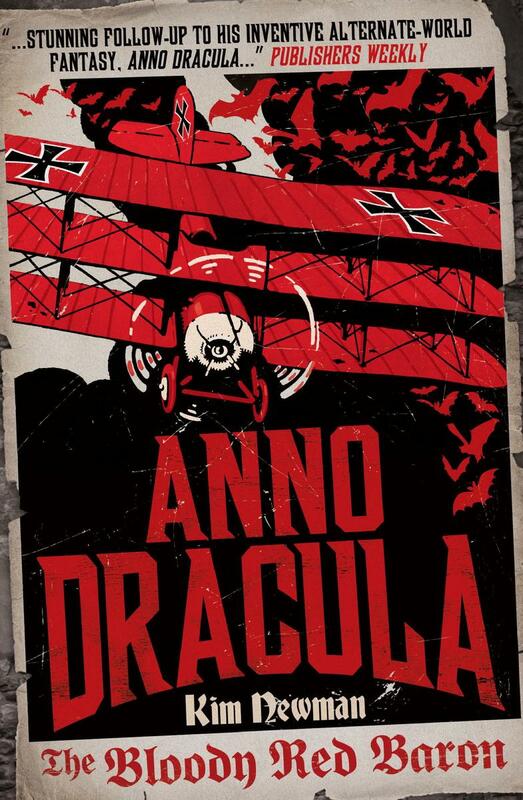 The Bloody Red Baron is Kim Newman’s follow up to the cult classic Anno Dracula. Although this book was first published in 1995, this edition includes the brand new novella, Vampire Romance. Set during the 1918 conflict, history is not quite as we know it. Vampires fight alongside the living and their powers only make the war more violent and bloody. British Intelligence Officer Charles Beauregard is sent to investigate a group of enemy fighter pilots, including the infamous Bloody Red Baron. The group is made up of some of the most violent and notorious vampire pilots, the sole survivors from dangerous missions and warriors with the highest kill counts. From the opposite side of the conflict, the Germans are shipping in the famous writer Edgar Allan Poe to exactly the same destination. But his quest is very different. He is to write the story of The Bloody Red Baron, not to bring him down but to raise him even higher in the popularity stakes (no pun intended). He has no idea what he is letting himself in for. Newman takes the unusual writing style of including both real historical characters such as the German fighter pilot Manfred von Richthofen (The Red Baron), fictional characters from both other novels such as Dr Moreau while also creating his own. This is a bit of a ‘marmite’ technique which either usually works incredibly well or very badly. This one I feel is the former, the characters used all add the sense of imagery and quirkiness of the story. I certainly couldn’t help but smile at the mental image of the vampire Winston Churchill draining a rabbit dry in front of political and military officials. I must admit it took me a long time to get into this story, nothing for first 100 or so pages really grabbed me but once the story reached a chapter on Dr Moreau’s work in the trenches, the story really kicked in. One of the great things about this novel is the number of references to other books, movies etc within the text and character, creating brilliant ‘in’ jokes. I guess this can also be seen as a slight issue as without knowing these references in advance, you could really miss out a brilliant side to the writing. If you enjoyed the first Anno Dracula, then you will also certainly enjoy this one (although reading the first is not necessary). Full of gory scenes, historical facts, literature references and fast-paced battles, this is sure to be another hit for Newman.